1. 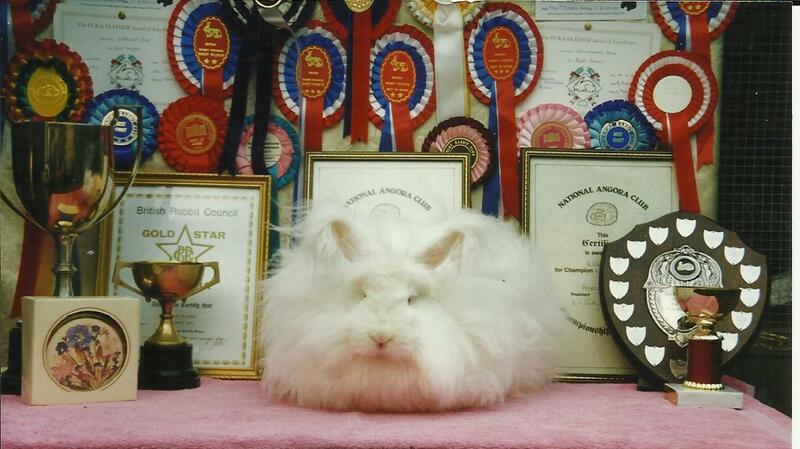 An Angora rabbit has a short show life. The whites especially are only at their best four about four months. So you will have to keep breeding so that you can have continuity. The coloured can sometimes be shown after the first coat has been removed but this requires a certain amount of patience and expertise in grooming. It is very unusual for a rabbit with a re-grown coat to beat a rabbit in its first pristine coat with all the tips intact. Clipped stock can however be shown in the section for stud buck/brood doe especially at stock shows. 2. When you book in your entry into a show it is wise to check the size of the pen which will be accorded as this can vary depending in the status of the show or the whim of the secretary.You need to know what size wire frame to bring to the show as all your perfect grooming will be to no avail if the frame is the wrong size. 4. Showing a rabbit especially if you have bred it yourself can be very interesting and rewarding. It is preferable to steward your own rabbit if this can be done in a courteous and tactful manner because sometimes rabbits lick their coats excessively to get rid of the smell of an unknown steward. We always ensure that we put either a newspaper or a towel into the show pen under the frame in consideration of the rabbits penned below. (Angoras are always given a top pen). 5. 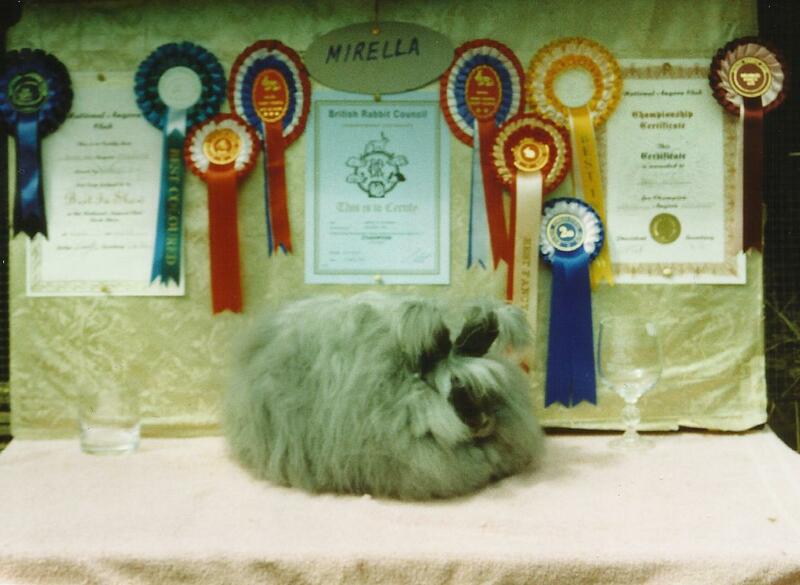 Both the British Rabbit Council (BRC) and National Angora Club (NAC) offer Diplomas to the winning rabbits. There is a charge for these with one exception BRC Supreme Championship. This is the highest award and the most difficult to achieve. 3 Best Fancy or Best in Show Diplomas gained at shows of 3* or higher status and under three different BRC 3* Fancy Judges. 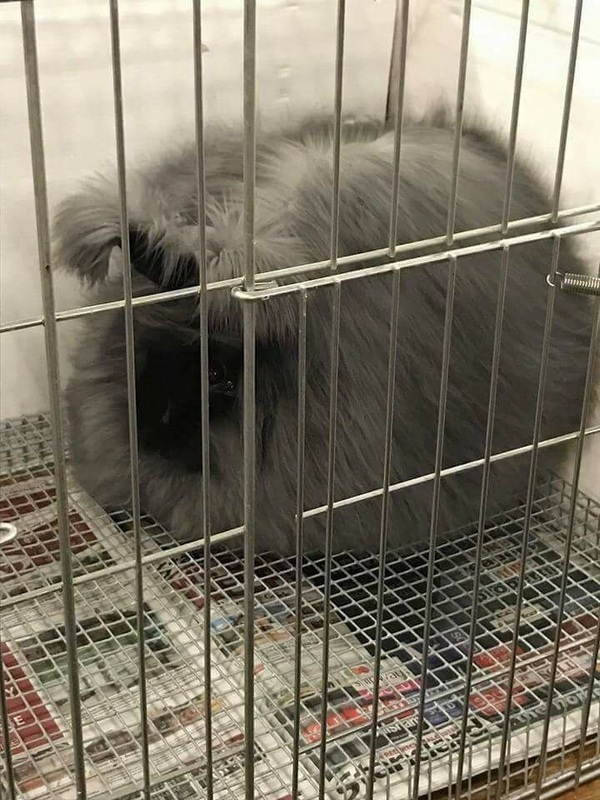 It does not matter if the rabbit is an adult or U/5 months old. No charge for this award. 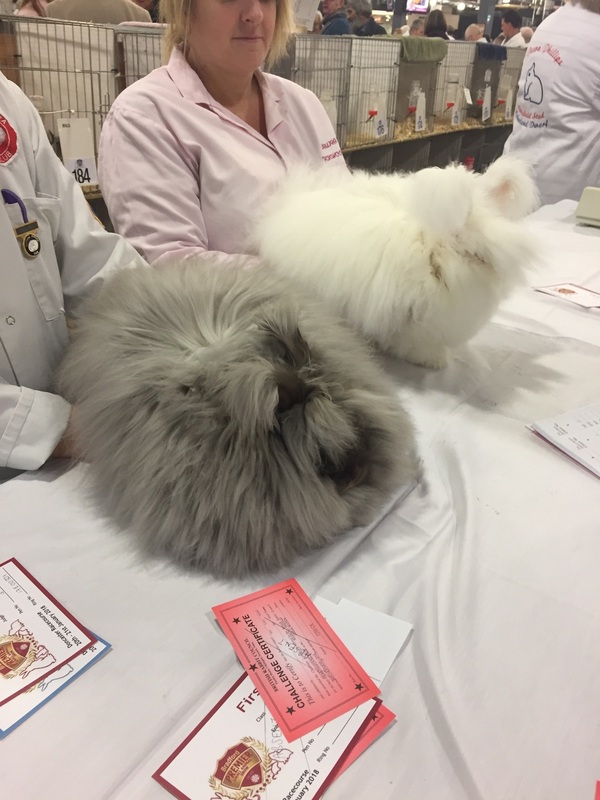 Minimum of six different judges, 4 Angora panel judges. Minimum starts either 2* or 3* shows. 15* needed – max U/5 4* minimum Adult 11* under three different judges, 2 judges recognised by NAC. BRC for Best Fancy count as one extra * in all categories except Supreme Championship. The BRC issue Free Junior Certificates to any member who wins 4 Certificates of Merit. When grooming the Rabbits before the show please be considerate of other fanciers and keep dryers or hoovers well away from the Canteen area. Such magnificent animals deserve caring owners. Posted 05/04/2018 by SM & filed under Showing Angoras.